Forces Elèctriques d’Andorra is to install the AleaShort and AleaMid tools to obtain forecasts of short- and medium-term demand. March 2, 2010- FEDA, the public company that produces, distributes and sells electricity in Andorra, has implemented energy demand forecasting software from AleaSoft, a software developer of demand and price forecasting in the energy markets. FEDA has implemented the software solutions AleaShort and AleaMid, which allow electricity demand forecasting to be obtained for the short- and medium-term respectively, accurately and automatically. This is possible thanks to the use of automatic learning algorithms for forecasting, based on built-in neural networks that capture the dynamic nature of the electricity demand, keeping the models updated in the face of changes in trends. 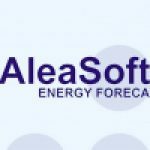 With this agreement, AleaSoft strengthens its position as a supplier of forecasting systems for electricity operators (TSO) in the main European markets, such as REE (Spain) and Terna (Italy), who are already clients of AleaSoft in this market segment.